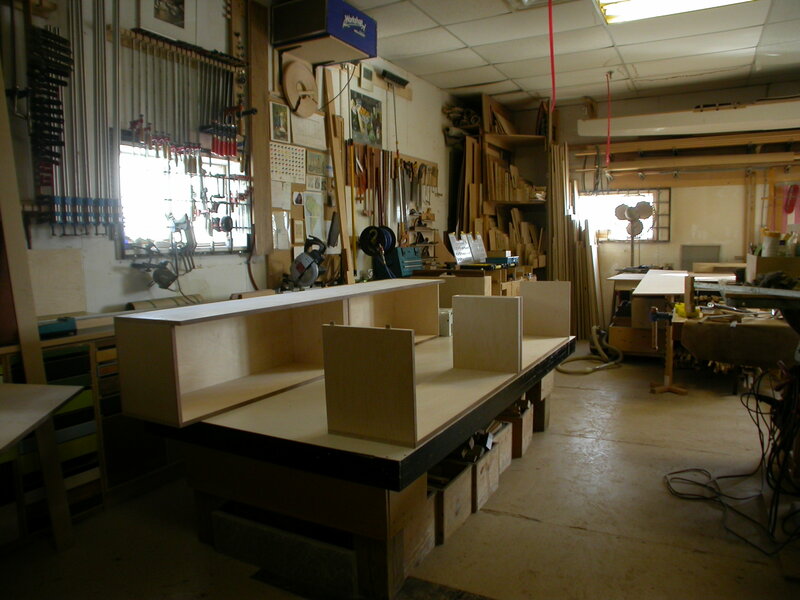 Base cabinets (never to be confused with cabinet bases) are getting assembled, so far with Domino and screw construction – not glued since the cabinet tops will have to come off once the aluminum track and sliding door runners arrive. The middle of each cabinet length has a built-up 70 mm (<3″) gable, on account of slider openings – the wider gable allows the full interior widths to be accessed without a sliding door in the way, so pullouts can easily be added later. And, since the vinyl collection will go there (Jazzland), there won’t be any hidden LP’s. Seemingly a minor detail, but possibly adding to user delight later. 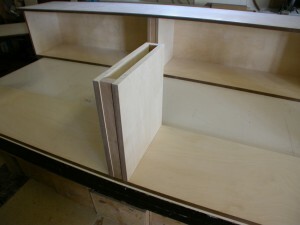 Next photo: 4 sliding doors getting their solid edges glued on. Then a segway to the solid Maple shelves, their 3rd milling complete, ready to joint the edges and glue up to the full widths. 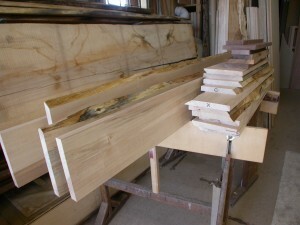 Lovely colourful Maple, but more lively (twisted and stressed) than usual, requiring more milling stages to flatten.